Hi everyone! 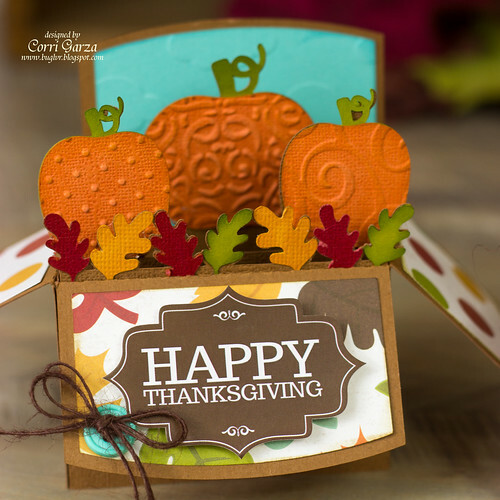 I'm up on Lori' Whitlock's blog today sharing my take on the new Fall Pumpkin Box Card. I added some embossing to the pumpkins for added texture. I used paper from the Echo Park Mini Theme - I Heart Fall. 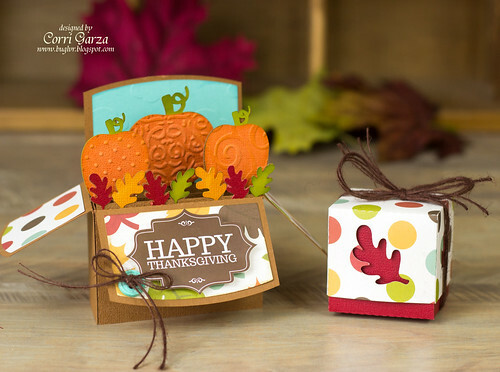 I cut the Fall Leaf box from coordinating paper to make an adorable set that would be great for a small gift for a hostess. You can find all the new files that were added to Lori's shop this week HERE. Hi Corri! I think your design is perfect. I was wondering if you could give me something of a tutorial - I bought the box design, but I'm not sure how to print it. How do you print the different pieces on different colored papers? Do you do everything at once? Help! Very cute, I love box cards!